FARO is the world's most trusted source for 3D measurement, imaging and realization technology. The company develops and markets computer-aided measurement and imaging devices and software. Technology from FARO permits high-precision 3D measurement, imaging and comparison of parts within production and quality assurance processes. Using highly automated digital cameras, LiDAR and IfSAR sensors, Fugro EarthData transforms data from a wide range of aerial sensors into spatially accurate map products and GIS datasets. These geospatial solutions form the basis for a variety of applications in the public and private sector, from urban planning to emergency response. GeoCue is a software development and consulting services company that creates tools and techniques to improve geospatially organized processes. The company offers GeoCue, a geospatial process management product that allows production shops to work on large multi-technician projects with significant improvements in return on investment. 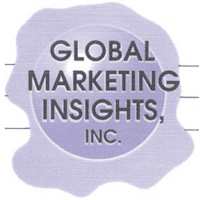 Since 1997, Global Marketing Insights (GMI), a woman-owned firm, has provided Geospatial Business Intelligence Experts for a wide range of aerospace, geospatial and remote sensing strategic business planning, sales and marketing implementation services and highly customized market research services. These services include developing targeted product/service market studies and competitive market research for government agencies and private-sector firms whose goal is to increase their market share. As authors of the USGS and NOAA 2005-2020 International Remote Sensing Studies for Asia, Africa, North America and Europe (with South America in progress), GMI possesses the world’s largest database of remote sensing research (available in online interactive maps) and social and cultural trend information by country, providing GMI with expertise in technology transfers among all market sectors. Leica Geosystems Inc. provides airborne imaging and LiDAR sensor solutions. The company’s workflow solutions—from flight planning to data delivery—help customers get better results faster and at lower cost. LiDAR Services is the U.S. subsidiary of LiDAR Services International Inc. (LSI), Calgary, Alberta, Canada, providing airborne LiDAR services since 2002. LiDAR Services is a global leader in airborne LiDAR surveys, operating two helicopter-based LiDAR systems and one fixed-wing system. Our business focus is to provide high-quality airborne LiDAR data collection and processing services using LSI’s proprietary MATRIX LiDAR airborne systems. We are a small, aggressive team of pioneers in geomatics searching for new, innovative, and affordable solutions for the measurement sciences. We are interested in solutions for GIS, surveying, civil engineering, agriculture, forensics, BIM, heritage mapping — all things 3D and beyond. Maptek’s I-Site technology combines accurate 3D laser scanners with advanced point cloud processing software for survey, civil, mining and forensic applications. Products include the I-Site 8820 and I-Site 8200 laser scanners. Hallmarks of I-Site technology include ease of set up, portability, rapid and safe data acquisition, and powerful processing and modeling tools. 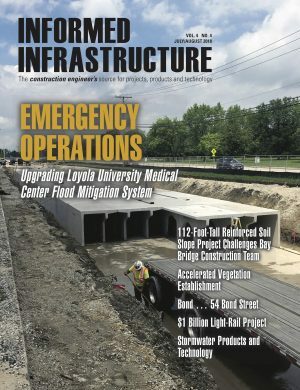 Merrick & Company, an employee-owned $110 million geospatial solutions, surveying, engineering, architecture and design-build firm, serves the energy, national security, life sciences and infrastructure markets. Merrick offers project consulting, airborne data collection, spatial data processing, high-definition surveying, LiDAR real-time visualization/navigation, data production software (MARS® and Geoverse) and application development services. With more than 20 years of experience, RIEGL USA delivers cutting-edge technology in airborne, mobile and stationary terrestrial laser scanning solutions. RIEGL USA is recognized as the performance leader in airborne, mobile and terrestrial scanning—from your initial purchase to system integration as well as training and support. The key factor to RIEGL USA’s success is providing complete reliability and customer support. Teledyne Optech provides highly accurate and efficient lidar with integrated camera systems for airborne topo/bathy mapping, mobile surveying and terrestrial scanning with UAV photogrammetry. Teledyne Optech sensors deliver consistent data quality and leverage workflow automation for precise results in the most demanding transportation, engineering, planning and environmental applications. Terrasolids, TerraScan, TerraMatch, TerraPhoto and TerraModeler are software solutions for handling airborne and mobile LiDAR data. Terrasolid’s software solutions are used in more than 90 countries, with more than 2,500 TerraScan licenses sold. Terrasolid has been working with laser-scanned point clouds for more than 10 years. Our aerial data capture and data processing solutions enable you to deliver imaging data more quickly than ever before, ultimately saving time and cutting project costs. Whether you need a single subsystem like GNSS+Inertial georeferencing or you are looking to invest in a complete turnkey mapping solution, our broad product line will address your need and help keep you productive and competitive today and in the future. The Velodyne HDL-64E S2 is a 64-element LiDAR sensor that delivers a 360-degree HFOV and a 26.8-degree VFOV. The sensor generates more than 1.3 million distance points per second. Applications for the HDL-64E S2 include terrestrial and marine autonomous vehicles, robotics, 3-D mapping, security and surveying. Z+F USA Inc. was founded in 1998 to expand the company’s market and to create a local presence for Z+F customers in the United States. Z+F USA Inc. distributes and supports high-quality electronic control equipment including wire ferrules, wire processing machines, and 3D Laser Scanners and Software.